When is a reaction said to be under kinetic control, is it not easily reversible? I understand that if a reaction is under kinetic control, the less stable (e.g. a mono-substituted diene) is formed and if the reaction is under thermodynamic control the more stable stable (disubstituted diene) is formed. However, if we wanted to go from the kinetic product to the thermodynamic product, would this reaction be considered as being under kinetic control? In other words, are the reactants under kinetic/thermodynamic control, or is it the products? I think this is more of a terminology question. A product formed under kinetic conditions may or not be reversible under the conditions of the reaction. Here is an example of one that is reversible under the reaction conditions. Kinetic control is determined by the difference in activation energy (ΔEa) of the two pathways. The thermodynamic equilibrium is determined by ΔΔGo. Acetoacetic ester (AAE 1) is a mixture of keto and enol forms. 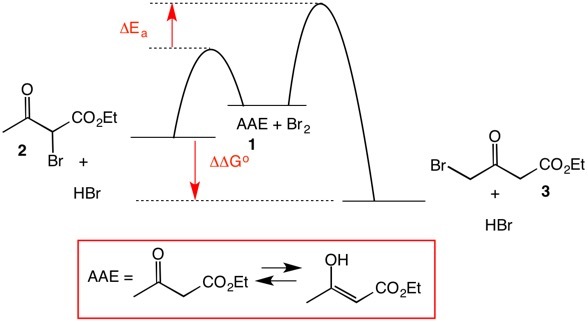 Bromination of AAE in an inert solvent rapidly gives α-bromoAAE 2 in addition to HBr. This is the product that is formed faster having a lower activation energy. This reaction is also reversible, initiated by HBr (microscopic reversibility). Eventually, the more stable γ-bromoAAE 3 is formed from AAE 1 by enolization toward C4 (γ-position) of AAE under the influence of HBr. Not the answer you're looking for? Browse other questions tagged thermodynamics reaction-control or ask your own question. What does it mean for a reaction to favor the reactants/products? How does toluene favor ortho/para in terms of kinetic and thermodynamic control? Do the products in exothermic reactions have higher kinetic energy than the products? Do they also have lower chemical energy? 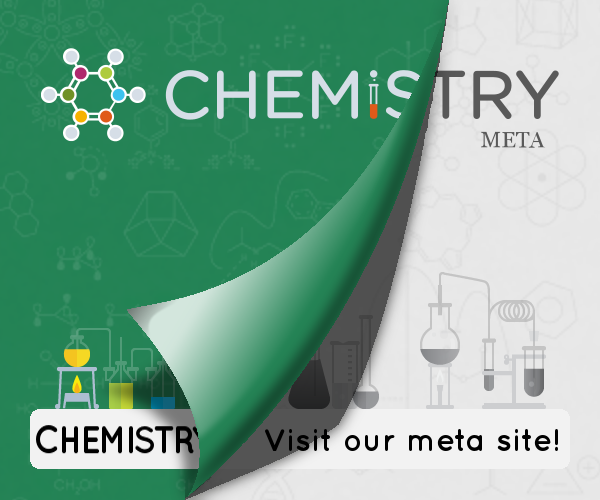 Can carbocation rearrangements have kinetic and thermodynamic products? What is the relationship between the constant of equilibrium (Kc) and the position of equilibrium?